Grow your click teaches you skills in growth hacking, design, tech, and personal development. A company’s growth speed depends on a lot of variables. Every company is individual. The obstacles it deals with are individual too. Intelligent marketers can use growth hacking tools efficiently to take the graph of company’s growth upwards. We have handpicked a list of 33 of the best growth hacking tools which can assist the marketers. Let’s take a closer look at them. Omnisend is email marketing software for advanced marketers. It has rich omnichannel features – email marketing, SMS automation, Facebook Messenger and even Web Push notifications. Advanced automation strategies will let you reach your customers on behavioral triggered events like abandoned carts, customer reactivation or product abandonment. This is email marketing software. It is also very useful tools for email campaigns and newsletter creation. 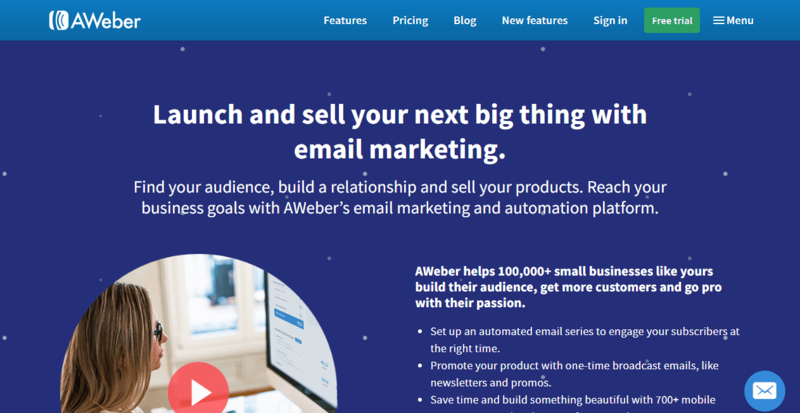 AWeber has rich features and impresses with its superior autoresponders. It automates the process of delivering personalized, professionally designed emails to targeted customers. You can set up schedules and send follow up emails. This is also known as Bounce Exchange. Its automated customer acquisition platform leverages its specialized “Exit-intent” technology. It propagates people based marketing (PBM) as a new revenue channel. Bouncex has its own set of customer retention and website analysis tools. Its data hyper targets each visitor into strategic buckets when they are in the conversion funnel. Clicktale is a cloud based analytic system based platform. It enables you to visualize your customer’s journey on your website from their perspective. You can analyze their behavior with the help of heatmaps and reports. There is an individual session replay capability too. It helps you reduce abandoned cart rates and increase conversions. This provides you with a very easy way to track, share, and promote your content on Twitter. Businesses need to build their brand with the help of content marketing efforts. Clicktotweet has an easy-to-use dashboard to manage all your tweet links. It provides you with analytics to help you grow your influence and authority. Colibri provides you a set of growth hacking tools for inbound marketing, SEO, social signal monitoring, and content marketing. You can improve your visibility on social media, and monitor who is talking what about your brand. Participation in ongoing discussions is easy. The platform helps you contact your prospects and influence their buying decisions. 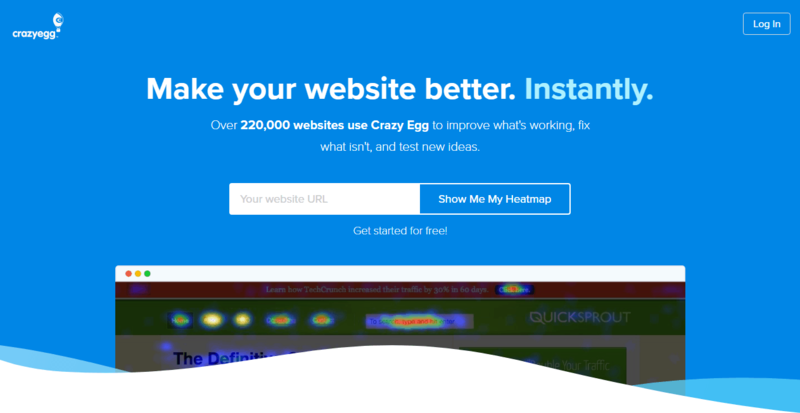 CrazyEgg is a heat mapping tool. It helps you improve the functioning of your website. You can test new ideas and improve upon what has been working for you. You can fix the elements that hinder the growth. And you can track your visitors and find out the elements people click on and interact with. This helps you automate your product and brand messages to your customers. You can schedule messages and send them. And you can segment your customers and send personalized messages to them. The platform helps you understand how your clients deal with your messages. You can send triggered automated emails on specific behavior of a client. 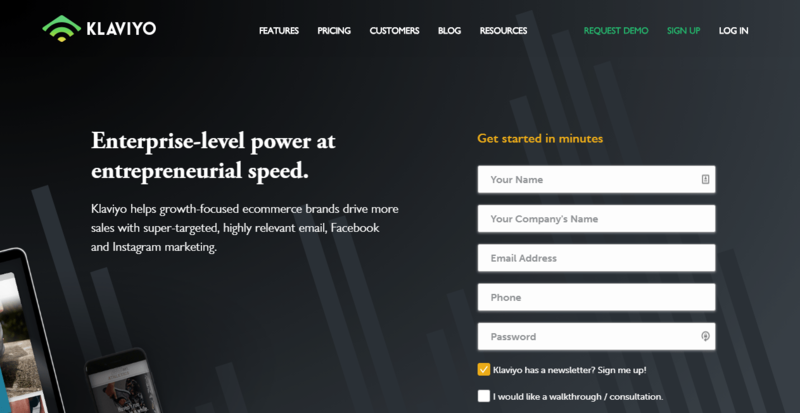 Drip is a marketing automation tool. It has a super intuitive interface. You can send custom emails based on user behavior. It allows you to segment your contacts on the basis of tags and events. Drip enables you to have a good look at your customers with a chronological timeline. It helps you create complex email marketing workflows. Gumroad is a great platform for creators. It is very helpful for artists, writers, musicians, graphic designers, etc. They can sell subscriptions, digital and physical goods, and pre-orders online with custom product links. The platform enables you to engage with your customers and see sales, audience growth and referrals on the dashboard. Hello Bar is one of the best tools for lead generation. It helps you design messages for your visitors. You simply need to enter your website URL and you will be able to make display ads, install barcodes, and more. It displays text on your website. If your visitors click on bar displays it increases engagement. HubSpot is an extremely popular market automation tool. Its intuitive CRM platform allows a sales team to adapt to it without making significant changes to their workflow. It neatly organizes the communication you have with your customers. The platform tracks your deals, monitors performance of sales teams, and helps you manage all activities from a single dashboard. Infusionsoft is a powerful all-in-one marketing automation solution. It helps small businesses organize themselves better and focus on growing sales. You can automate sales and marketing aspects of your business. It helps you collect and manage all customer interaction from one place. You can turn leads into customers, sell and collect payment through one centralized system. Kissmetric enables you to deliver behavior bases engagement to your customers on every step of their customer journey. It has advanced customer tracking and analyzing capabilities. You can use it to determine and monitor the metrics that help you manage your business well. It turns information into actionable insights which is very useful. This is a cloud based email marketing solution. Klaviyo integrates easily with multiple platforms, and also helps with audience segmentation, and performance reporting. You can send targeted emails based on purchase history and user behavior. It helps ecommerce marketers efficiently target and personalize their marketing campaigns while monitoring and optimizing ROI. Mailchimp is a popular email marketing service. They offer generous plans for startups and can also handle large volumes of emails of big enterprises. You can automate routine mailing tasks. And you can customize signup forms, segment your subscribers, and send blast emails or targeted emails based on their open/click history and set triggers. Marketo is one of the leading marketing automation platforms. It has simplified and streamlined the different marketing processes for its users. Its drag and drop interface helps create professional email templates. You can test emails, create landing pages, integrate it with leading CRM platforms, use it for social marketing and more. Its strong suit is lead management. MixRank is a crafty and smart spy tool. It helps you find your customers and new opportunities by data driven approach. It helps you create email and CRM alerts. And it provides real time updates on important signals. It can provide you data on existing clients, competitors and prospective customers. Enrich your data with new valuable datasets with MixRank. MouseFlow is user behavior tracking software. You can track clicks, mouse movement, and scrolling behavior of the visitors on your site. It helps you find out the pain points with session replays, heat maps and feedback campaigns. And it helps you segment the user by behavior, conduct split, A/B tests, and track your conversion funnels to find out the leakage points. Olark is a popular live chat solution. Live chat can help you increase sale by providing support. It helps you monitor leads, gain information from customers, and effectively support sales teams. And it provides detailed reports with actionable insights for better decision making. You can customize the chat box. Optimizely helps you optimize the customer experience on your website. Its analytics tracks down user experience on your site and helps the user get more from the site. You can use it to determine which changes to your website will be more useful to the customer. It helps you get better SEO ratings too. Outbrain is a content discovery and ad placement platform. It has a pay-per-click model which helps businesses reach their targeted audience. You can promote your content on top sites. It is easy to use and implement. You can use it to enhance the reach of client’s ad campaigns through sponsored links. 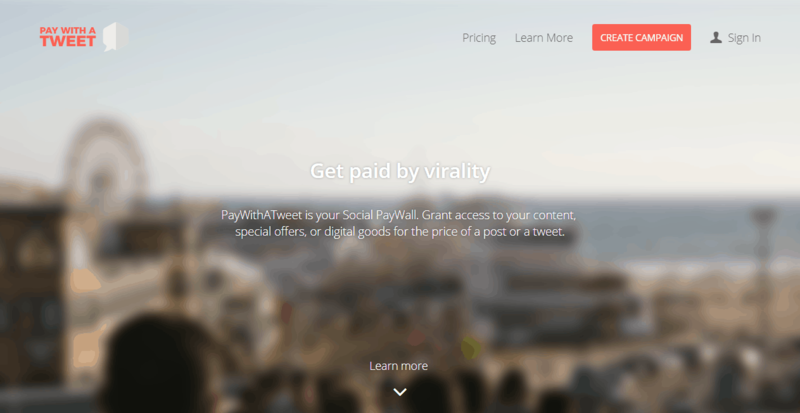 This helps businesses spread their brand awareness using social currency -you pay with a tweet. It lets visitors access your lead content or your landing pages without filling too many forms with personal information. Instead they can just share the content in their own social networks and get access. Polldaddy enables you to create surveys and polls that match your budget, brands and your goals. You can create unlimited online surveys using easy to use survey editor. Polldaddy can help you analyze results in real time. You can customize how the surveys look. Put the survey link in the email or in the banner on your site, your choice. Qualaroo helps you analyze customer decisions. It helps you discover new insights about your visitors. And it analyzes the actions they take on your website or app and helps optimize the user journey accordingly. You can deliver customized content to the visitors based on their behavior and location. SendGrid is a cloud based email delivery service. It helps businesses with transactional email management. It abides by anti-spam regulations, manages Sender Policy Framework (SPF), Internet Service Provider (ISP) monitoring, feedback loops, and domain keys. Learn all about open rates and link tracing. Its team is focused on email deliverability and compliance. This is a good solution for drip and transactional emails. Sendwithus makes it easy to interact with customers with its cloud based email template management platform. Manage all your emails using pre-made templates, test the versions which work with A/B testing. It automatically inlines CSS for email client compatibility. Sumo helps you drive more traffic, collect more emails, and convert more customers. It helps you build a following, and track your success directly from your website. Its list builder helps you create attractive pop ups that appear before people leave the site. With built-in social media buttons on your site it makes sharing easier. Totango is a customer success analytics platform. It helps you track the struggles and health signal of the customer’s journey on the site. This cloud-based solution provides a simple infrastructure for customer success operations. It helps you manage customer relationship hierarchies across accounts, channel partners along product lines. Typeform is survey software useful for creating online surveys. It is easy to learn. You can edit and arrange questions without much hassle. A customized look can be given to the surveys. Its drag and drop features give a lot of flexibility. It provides a free API to integrate it with other applications. Unbounce helps you create, publish, and A/B test your landing pages. It helps you improve the customer’s experience on the site. And it is a highly customized page building service. You can build and test unlimited number of pages. And you can get pages optimized for mobile. With a wide range of templates and features available for use, there is plenty to choose from. UsabilityHub helps you design your website in a better way. It puts your site through different kinds of tests which determine different aspects of usability. You can use different tests to measure how well designed your site is. And you can recruit your own testers or use the testers from the hub. Vero is an effective email marketing automation tool. It is event-action driven email platform. You can use it to bring your engineering, product, and marketing teams together. And you can collect and harness your data to create communication that really delivers value. Data driven automated communication personalizes your customer’s experience. Zapier is an online tool to connect different apps and automate the workflow. It helps move the information between different apps. You don’t have to open and manage different apps separately. There is no need to build integrations. Linking different web apps is easy. It has a lean and useful dashboard.